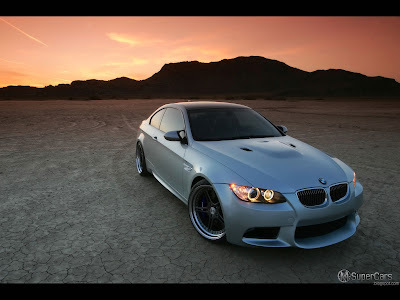 The 2010 RDSport BMW M3 RS46 is new engine internals include larger, forged, light-weight, aluminum pistons, forged, billet connecting rods and new billet crankshaft with a longer stroke. All of these parts equate to a larger displacement 4.6 liter motor, up from the factory 4.0 liter. The exhaust system of the RDSport RS46 BMW M3 features race, tubular headers with F1-style merge collectors, metal-matrix, sport, catalytic converters, X-Flow downpipe and sport silencers all built from stainless steel.The handling of the M3 RS46 is also enhanced by using Bilstein shocks and RDSport Springs which drop the car by 30mm at fornt and 25mm at the back. I also has 6-piston, aluminum monoblock calipers on the front and 4-piston monoblock calipers in the rear. As for the wheels you can have the RC8 Forged Monobloc lightweight rims, or the classic Racing Dynamics design. RDSport recommends Pirelli tires.